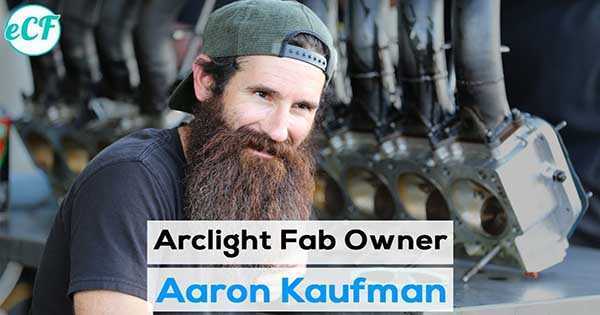 Aaron Kaufman To Set Plan For His Future With ARCLIGHT FAB! - Muscle Cars Zone! Aaron Kaufman To Set Plan For His Future With ARCLIGHT FAB! We are all familiar with the story of Aaron Kaufman and why he left Fast `N Loud. It has been a pleasure to watch him and his creations but he decided it was a time for a change. Now, he is to set plan for the future. Namely, just few months ago he created his own workshop and company called the Arclight Fab. We followed everything that has been happening ever since and he posted an update for what is going on. Even at the start he stated that his workshop will focus on building and restoring Ford F100 pickups. But this time he took this a step forwards and made a massive plan for the future which might help to a lot of people. Their focus will be those made from 1957 to 1979. As we all know there are not lots of parts you can find for these. That is why the guys from Arclight Fab decided to change this. This gap of missing parts is what they are going to desperately try and fill it up. Basically, they are going to salvage their parts and completely restore them. Everything from suspension components to full chassis as well as electronic components and even wheels are going to be supplied for customers. The set plan is to offer some of the parts by the end of this year. In the following year they plan of supplying several chassis as well as the wheels and some of the finer parts. Make sure you check out the video and stay tuned for more! At last, visit Arclight`s official website!